Twister is a long looped scarf with a ribbed edge on one side and a slightly ruffled edge on the other side. 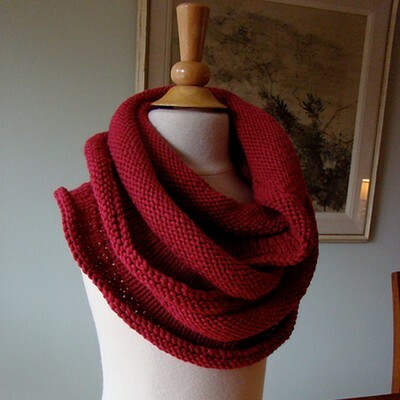 The scarf is designed to flip and twist and the edges will roll. Twister can be worn in a variety of ways, wrapped three times up close to your neck, wrapped twice for a long looped look or with one end threaded through the other.